Tata may attempt to extend its luxury business by resurrecting the Daimler luxury brand, according to reports from an investor meeting. 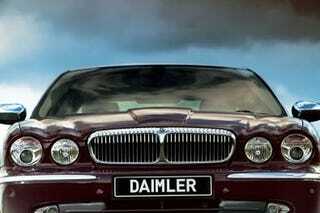 Tata secured the rights to the Daimler name as part of the Jaguar-Land Rover purchase, though currently the only car with that name is the range-topping Jaguar Daimler Super 8. As we reported, Tata assumed numerous brands in the deal, including the rights to produce cars under the name Daimler (DaimlerAG, formerly DaimlerChrysler, was given permission to use the name for their corporation from Ford before the Tata sale). These super-luxury cars from Tata could reach for a level currently occupied by other manufacturers.